Did you know the King King actually has rock shows sometimes? Well, they do, and if you'll go out and support them, they'll probably have rock shows more often. I went to check out Future Villains at the King King on Hollywood Blvd. and it was a totally bitchin' show! Nate Jealous has just joined the band on guitar and I think they blew the roof right off of the building! The show was screamingly good and I can't wait for the next one! Future Villains plays again on Monday, March 4th, at The House of Blues. Delta Rose played a jaw dropping show at The Viper Room! As usual. They're one of the best hard rock/blues rock bands in Southern California! Gypsyhawk, Mothership and Future Villains at The Joint on 4/04! The Joint has recently come back on the map as a bitchin' metal venue! 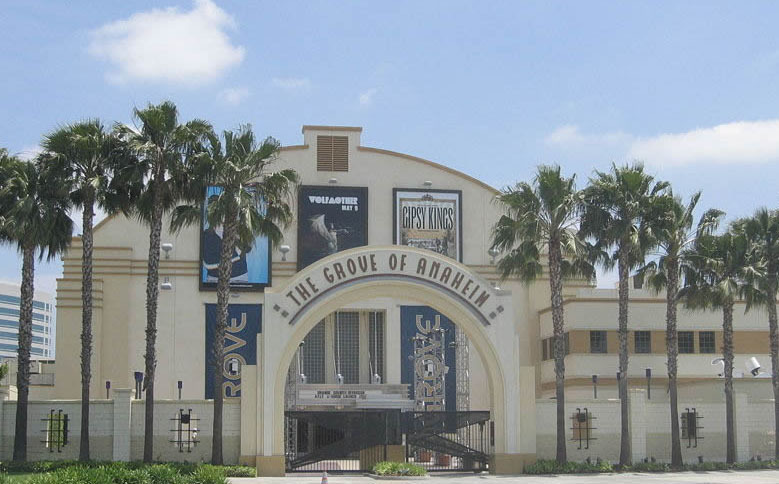 Just in time, with the recent closure of the Key Club and rumors that the House of Blues may be soon to follow! (NOOOOOO!) 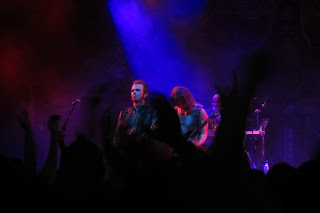 They hosted a great show last Thursday with The Future Villains, Mothership and Gypsyhawk. Let's cross our fingers that The Joint is here to stay! Future Villains got the party started with their high energy, over the top rock-n-roll! Mothership is an amalgam of heavy 70's rock, stoner rock and wicked metal guitar solos. They melted the stage with their heavy riffs and solid jams! Be on the look out for these guys the next time they roll through LA! Gypsyhawk rocked the Joint like only they can do! When these guys take the stage, everyone forgets about being a hardass and slugging dudes in the pit. These tunes just make you wanna headbang with your pals - especially when Eric Harris jumps in the crowd with his bass to play the end of Commander of the High Forest! That's how you finish a rock 'n roll show! 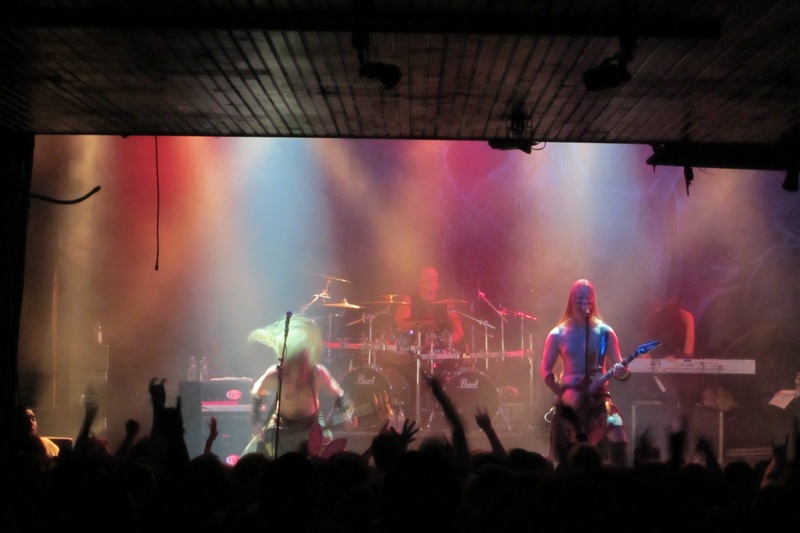 There was too much death metal for one venue at this concert! It was too dark upstairs for me to get a decent photo of Gorod! The Airliner's an awesome venue, though! Can't wait to see more metal shows there! 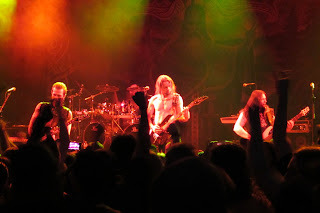 The LA metal scene loves European metal and I am no exception to the rule! Paganfest has become one of my favorite annual concert series because they always book a solid lineup and it's always so fun. 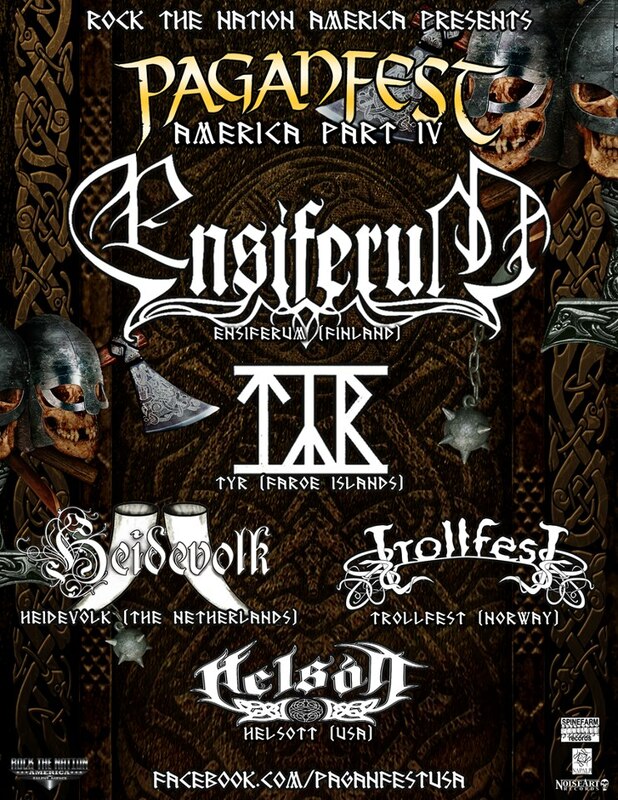 This year's lineup was Helsott, Trollfest, Heidevolk, TYR and Ensiferum! The House of Blues was jam-packed with excited fans and I was right in the thick of it. Please tell me you didn't miss this! At long last I finally got to see TYR play some songs off of the Eric the Red album! Now I know that when I die, my ghost won't angrily haunt the Faroe Islands, demanding to hear a live performance of Regin Smidur. No one else does viking metal like TYR! 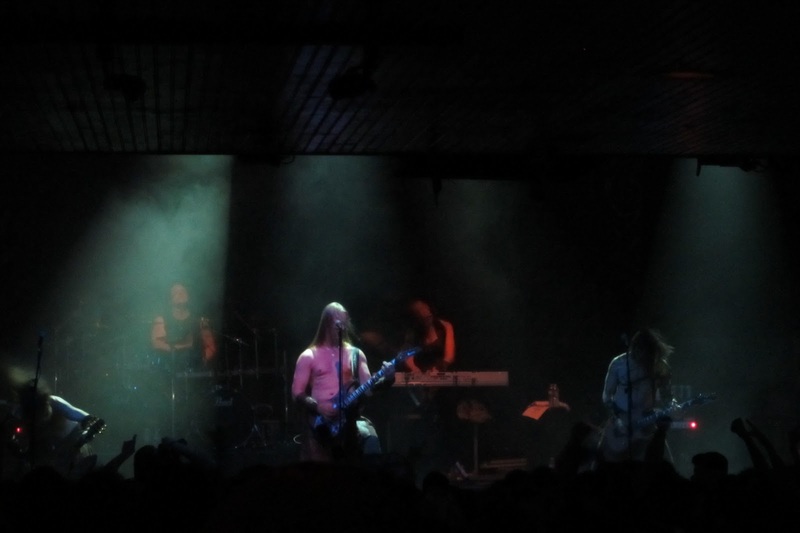 This is the band to go see if you like Norse mythology told through artfully composed riffs and archaic Scandinavian chants. They have a completely original (and amazing) sound! I swear this band's guitar tone resounds with the blessings of Valhalla. Somehow, the moshpit was raging during the entire TYR set, even during the slower songs. It's just proof that LA loves TYR and they need to headline their own serious North American tour! 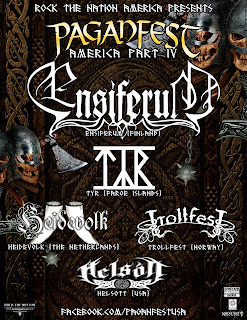 Ensiferum was the headliner on the Paganfest tour, and they played a bitchin' set, too! They're one of those incredible folk metal bands that's come out of the spectacular Helsinki, Finland music scene. Be sure to check out TYR and Ensiferum on Facebook, Reverb Nation, and most importantly, on their next tour! The next event on my concert calendar is Ascendancy, tonight, at the Smoke and Metal event. I visited The Crest last Friday to show support for a friend's punk band and was very pleasantly surprised when an awesome metal power trio ended up playing as the headlining act! I had no idea this was how the night would turn out because I had previously visited the band's Facebook page and the posted songs sounded entirely different. These guys played some incredible 80's style metal and threw in some rad covers of Motley Crue & Led Zeppelin. The wickedly fast guitar, ear-splitting vocals, bass and drums were all phenomenal! The light show at The Crest creates some strange effects. I can't wait to check out BlackMagic Revolution again! Be sure to catch one of their upcoming shows & say hello to them. The band just recently moved to LA from Uruguay so I'm sure they could use some support from the local scene. The next event on my concert calendar is U.D.O. at The Whisky on 4/23. Here's a link for discount tickets from the opening band Blak! Since Nile did not have an LA date for their tour this year, I cruised on down to Orange County to see them play at The Grove last Thursday. I have to admit that I hate to travel behind the Orange Curtain but since the Metal Alliance Tour sold out before I had a chance to buy tickets, I chose to see Nile that night instead of staying home to sulk. 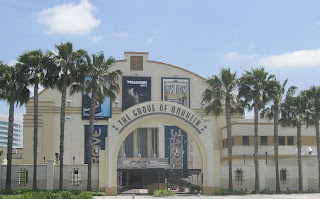 Does this look like a typical LA death metal venue?? I'm so glad I went out because these guys played a heart-shrivelingly brutal death metal show (Karl Sanders was smiling the whole time, if you can imagine that)! The turn-out was rather small but that was probably due to the simultaneous Metal Alliance concert taking place in Los Angeles. It was definitely a die hard death metal crowd. 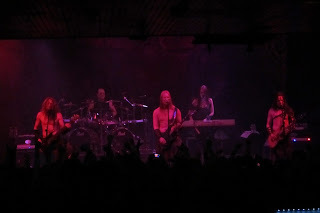 Nile played two full sets of old and new material, and closed with Black Seeds of Vengeance. What a night! Karl Sanders played some viciously weird and complicated solos on this custom double-neck guitar. If you enjoy other technical death metal acts like Death or Dreaming Dead, you'll definitely enjoy Nile. Be sure to check them out on Facebook and catch their next show! The next event on my concert calendar is Death To All at The House of Blues tonight, 4/13.